With Gibraltar’s recent inclusion into UEFA – the European governing body of football (otherwise known as soccer to us folks in the States), the “rock” ascended from a status as relative non-entity in the world’s sport to a minnow that will likely be served its fair share of epic beat downs from stronger European sides. The UEFA vote last week was historic on many levels, not to mention the fact that Gibraltar only received a paltry three votes from member nations in its last time through the process, partly in thanks to Spain’s groaning and moaning. 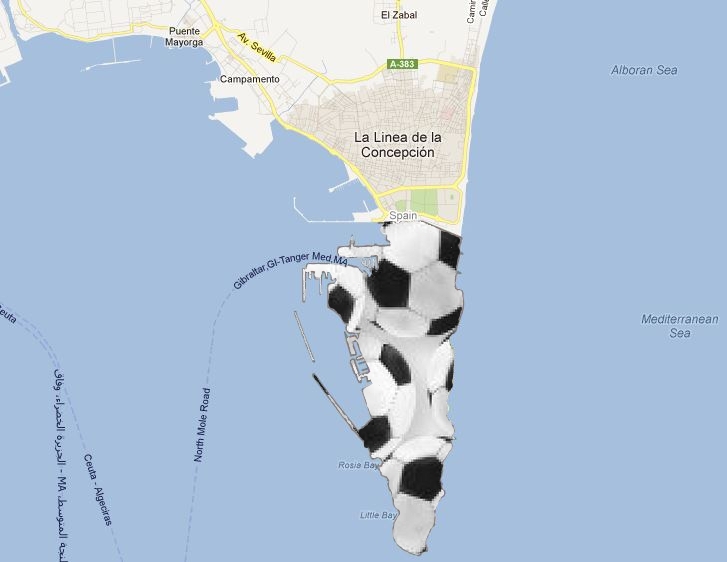 The Spanish have long claimed that Gibraltar should be theirs, and this step for the football squad only fuels the independent spirit of the autonomous. Gibraltar, much like Jersey, Guernsey and the Isle of Man, is a unit under claim by the United Kingdom but controls much of it’s own affairs. It also is home to some seriously cool monkeys. I do hope to visit one day. Their are many opinions out there on what makes a country a country, and travelers the world over have hotly debated the definition for years. The base requirement tends to be recognition by the United Nations. Others use the ISO 3166-1 list, which includes major territories separately based on some basic qualifiers (you can further peruse the list and explanation behind it here). Taking it a step further, the Traveler’s Century Club defines 321 separate entities and requires a visit to at least 100 of them for inclusion into the club (hence the “century”). MostTraveledPeople.com may have the most extensive list, according to the site, “the world is made up of 873 countries, territories, autonomous regions, enclaves, geographically separated island groups, and major states and provinces. To visit all 873 would be to go everywhere.” In a word, Wow. But how about the footballing nations? There are plenty of non-countries recognized by FIFA or football’s regional governing bodies (like UEFA). For instance, all five U.S. territories have their own national team (with four being recognized by FIFA). Yes, theoretically American Samoa (despite being one of the weakest squads in the world) could face off against the United States in a World Cup match years down the road. In all their are 24 “nations” with full FIFA backing despite not officially being countries. This list includes all the nations of the United Kingdom as well as various British and Dutch territories and Chinese-affiliated nations like Hong Kong and Macau. Where the FIFA list stumbles, despite being 209 nations deep, is that it doesn’t actually include everyone. Monaco’s team is neither represented by FIFA or UEFA. The tiny island country of Nauru is lacking representation as well. Micronesia couldn’t get to the World Cup even if it had the eleven best players in the world. The Vatican City has actually dressed a team (likely made up of Swiss Guards) for at least a couple of games and thus has a national squad, but it too has no official backing from football’s governing bodies. Heck, the Marshall Islands doesn’t even have a national team despite being a sovereign state (there is football being played there, however). Nations that have limited or full regional backing, but are not apart of FIFA include: Gibraltar, Northern Mariana Islands, Reunion, Zanzibar, Bonaire, French Guiana, Guadeloupe, Martinique, Saint-Martin, Sint Martin, Kiribati, Niue, Palau, and Tuvalu. I can name of many nations and territories that are completely left out of this process. Greenland may be the biggest exclusion of the non-affiliated programs (and it has been fighting its case for awhile now). A fantastic list of non-member nations can be found here and includes many notables (Tibet, Canary Islands, Åland, Northern Cyprus, St. Barth’s, Saint Pierre and Miquelon, Tokelau and Easter Island (I actually watched a few football matches on the island when I visited last August). In fact, this list may offer some of the most interesting and out-of-the-way travel opportunities one would ever have!